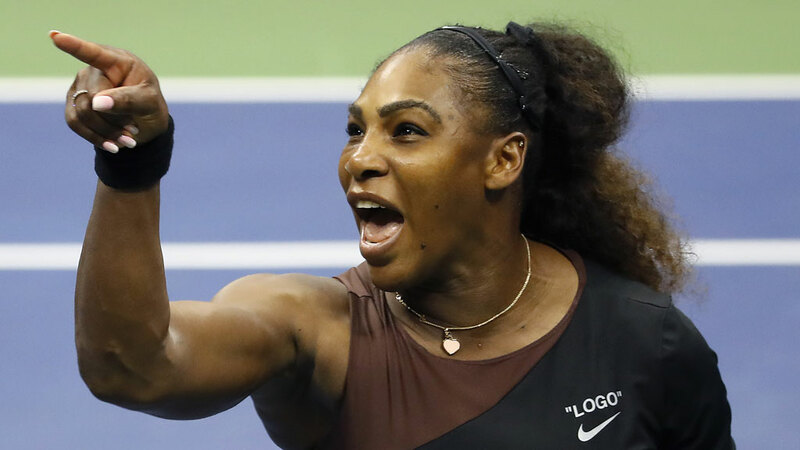 Tennis superstar Serena Williams has expressed regret over her infamous 2018 US Open meltdown, which led to a raft criticism leveled at the former No.1 star. Williams' behaviour during the final against Japan's Naomi Osaka made headlines around the world after she chucked a massive dummy-spit and called the chair umpire Carlos Ramos a “thief” and a "liar"and eventually broke her racket in the 6-2, 6-4 loss to the 21-year-old. Williams lost her temper when she was handed a code violation from Ramos because he ruled mentor Patrick Mouratoglou illegally coached her from the stands. The 23-time Grand Slam champion hasn't discussed the incident since it happened but felt the need to touch on the episode during an appearance on the US version of the "Today Show". “Obviously Grand Slams are most important to me, I was really close last year, so close,” she said in relation to the loss in September. “Literally just back from having the baby, looking back, I don’t know how I did that,” she said after reflecting upon her journey one year after giving birth to her daughter, Alexis Ohanian Jr.
“And I had the audacity to be upset when I didn’t win, and I’m like, ‘Why am I angry? This is beyond amazing,'” she added. Williams recently withdrew from the Miami Open due to a knee injury but admitted she still has her sights on winning another Grand Slam title. “I have a better shot now but we’ll see, I’m just taking it one day at a time,” she said.